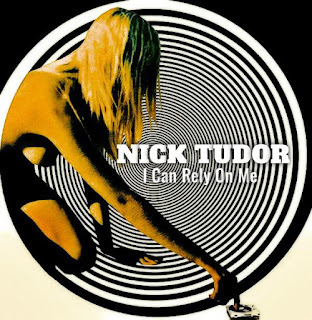 I Can Rely On Me is the new single from Bridlington-based solo artist Nick Tudor, following on from last year's Idle Hands and Idle Minds EP. It's one of those songs that you stumble across by accident and it stops you in your tracks. Bold, ambitious and expansive with enough ideas in one song for the careers of many bands, it takes you on six-minute journey through different phases of the song passing through an opening minute of instrumental that builds to the lyrics coming in, a soaring chorus that declares "I'm the only one" as guitars crash around it and a middle section that starts with a guitar solo, then a spoken word part before ending up like some twisted incarceration of the opening section of D'You Know What I Mean and then returning to the chorus. It leaves you exhausted by the time it comes to its end just shy of six minutes. Nick is also the singer in Bridlington band Page Forty Five. Nick Tudor is on Facebook, Twitter and Soundcloud.